Thirteen villages and over 8,000 people served to date! Imagine living without the convenience of water on demand. For thousands of families in the Sierra Madre, not having access to a reliable source of water compounds the challenges of caring for their families. Lack of water is a major factor in the poverty that so many endure. On the Chiapas side of the border, there are 350 small hamlets and villages located on extremely steep slopes where people grow corn, coffee or potatoes. Once a cloud forest, the region was severely clear-cut of the biomass that had always kept springs flowing. Since then, people have had to find ways to bring the water from creeks and rivers farther away. This worked well until 2005 when Hurricane Stan ripped through the region destroying countless miles of steel pipes, hose and cement water tanks without mercy. These water systems were not restored by the government in the decade since. Unfortunately for poor farming communities impacted by climate change, the cost of materials is beyond their reach. 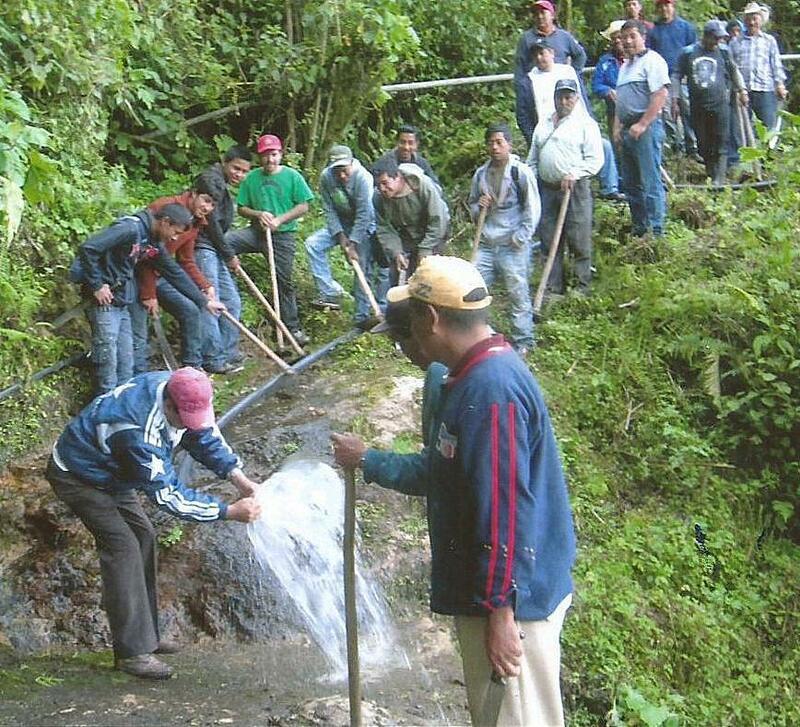 At the invitation of Water Charity, Sexto Sol has entered into an ambitious multi-year partnership aiming to bring water to communities in need in the Sierra Madre. We provide the technical expertise and administer the projects while Water Charity secures financial support to make them possible. For the past three years Water Charity has helped us to secure the funding we need to carry out projects in remote communities. Now that word has spread to remote places that Sexto Sol is getting this important work done, we have received many requests for this help from more communities. As of September, 2017 we have 12 villages on the waiting list with more people coming by our office to inquire if they too could be helped. We are looking for partners to help us step up to this challenge so that we can provide more assistance where it is needed without asking people to wait. We know we can do this. We have been doing it for 3 years, and counting. You won't believe the terrain!